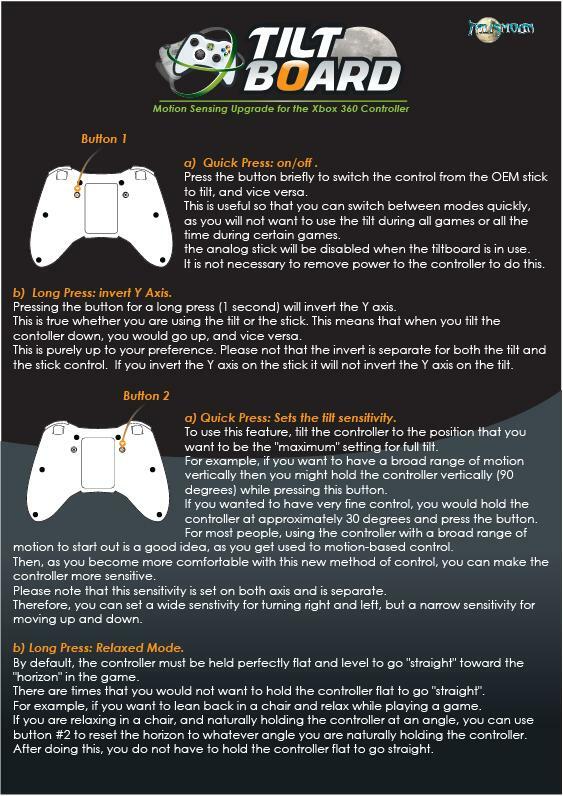 These instructions will show you how to install the Tilt Board v3 into an Xbox 360 controller. There are two main types of wireless Xbox 360 controller boards. The older boards are known as the matrix version, because the digital inputs are wired as a matrix. The newer board is known as the common ground version because its digital inputs are wired in a simpler common ground fashion. The Tilt Board v3 is designed to work with the newer common ground boards. If you use an older matrix board, your digital inputs will not work correctly. It is very easy to tell which board version you have after you take off the back cover. Video and more information coming soon! The Tilt Board v3 is the newest version of the Tilt Board. This version follows the same basic idea as the older versions with a few big changes. The first big change is that it now uses a 3-axis accelerometer. 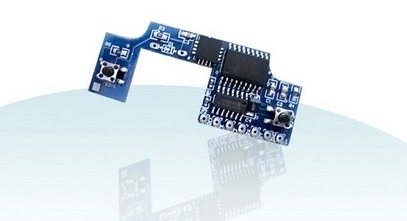 This allows it to detect a jolt on the Z-axis and map it to one of the digital output pins. 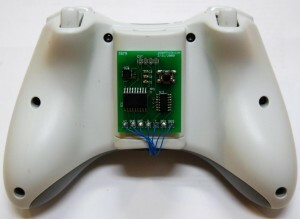 This allows you to jerk the controller up or down to perform an action in game. The second big change is the addition of an external input port. This is an RS232 port that will allow the functionality of the Tilt Board v3 to be expanded. (More on this in the future… ) The third big change is that it is now going to be an open source project. In the coming weeks(s) I will be releasing the schematics and source code to make it easier for those of you who are interested in making your own version. I would like to release the source code and schematics under a license that allows it to be used in any not for profit way. If someone reading this has knowledge in that area, please contact me and give me advice! Continue reading for the basic operating instructions. For those that haven’t noticed yet, the Talismoon tiltBoard 360 is no longer just a pre-order and is in stock at many retailers. You might look here, here, here, here, or here. The installation instructions are available on Talismoon’s website. Download the installation instructions here. Download the operating instructions here. Here is a video of the Talismoon tiltBoard 360 in action. It starts out with a demo of the tiltTune technology, and ends with some Crimson Skies gameplay. Enjoy! The Talismoon tiltBoard 360 is now available for pre-order from several Talismoon retailers.